Few envision themselves as a person doomed to be inadequate. Those thoughts may creep into one’s head, but they’re not welcome. We believe there’s a hero inside each of us. So why do marketers and salespeople rely on a model of inadequacy when people really want to be the hero of their own story? According to Jonah Sachs, author of “Winning the Story Wars,” empowerment marketing is all about telling stories that encourage audiences on their path to fulfillment. You’ve probably heard, or used, the inadequacy approach. According to direct marketing guru Herschell Gordon Lewis, the inadequacy approach relies on the five prime motivators: fear, greed, guilt, exclusivity, and approval. Think about yourself for a moment. Don’t you want to control your destiny? Live your dream? Sell more mattresses? Lead the category? In this regard, you are not unique. Almost everybody wants to be the hero of his or her own story. Whether it’s being a great parent, or learning to play cello. Most of us want to be our best. It’s ingrained. And as marketers, speaking to the hero works. Instead of relying on the five prime motivators (fear, greed, guilt, exclusivity, and approval) empowerment marketers understand other motivators like wholeness, perfection (mastery), justice, richness, simplicity, beauty, truth, uniqueness, and playfulness. Tell a story that creates anxiety and introduce the magic solution. Tell a story that encourages your audience to become the person they want to be. According to Sachs, there are some tactics you can use to employ empowerment marketing. Here are those approaches, along with a few examples from the real world. 1. Expose the lies of inadequacy marketing: tell a more resonant truth in the face of a commonly accepted lie. Think Small: American automakers sold the public on status, taste, and social acceptance. 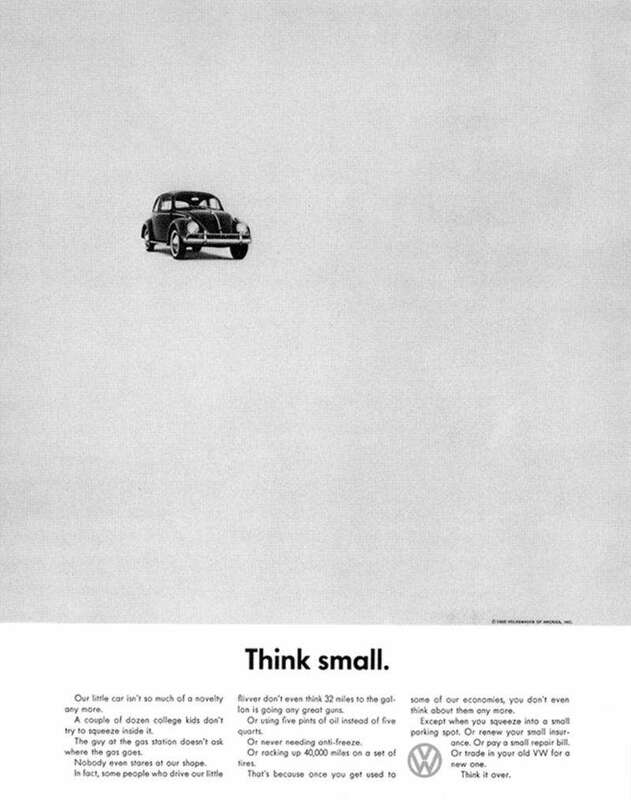 In 1959 Volkswagen encouraged people to Think Small. The campaign told a new story of thrift and efficiency, exposing the current lie that a luxury car was the only answer. 2. Speak to the hero, not the child. Nike Courage: This campaign starts with a website featuring a gallery of athletes. At the center is a sixty-second video. 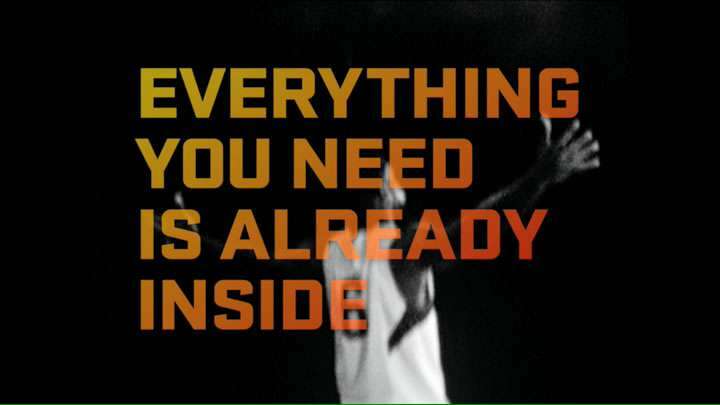 The title card reads: “Everything you need is already inside.” The video shows images of athletes at their best. Children. People from different cultures. All pursuing athletics. At the end, the famous tagline reads “Just Do It.” It speaks to the hero in all of us. Compare the Nike Courage approach to Kim Kardashian’s Sketcher’s Shape Ups commercial in which she dumps her personal trainer because her shoes are doing the workout for her. This product led to a lawsuit and $40 million settlement because the shoes don’t actually contribute to weight loss or toning. A child thinks he or she can wear magic shoes like Kim Kardashian’s and walk into the NBA. A hero knows it takes hard work. According to Sachs, traditional marketing mores ingrained in us the assumption that audiences prize ease and convenience and avoid making sacrifices at any cost. This is a destructive and flawed assumption. People are programmed to believe in heroism, and, as Christopher Vogler notes in his text on mythic structure in movies: “Sacrifice is the hero’s willingness to give up something of value, perhaps even her own life, on behalf of an ideal or group.” The post-modern inadequacy approach insists that people have lost any interest in difficult actions, but this is not true. Nike Courage versus Sketchers Shape Ups is growing proof that the hero in all of us is winning. As marketers, it’s our job to help audiences see themselves as the emerging heroes of their stories. In the sleep industry, this means helping people understand what they can achieve with a good night’s rest. In every story, the hero has a weapon, or a tool. Indiana Jones carries a whip. Marty McFly drives a time machine. Every hero has something that helps him reach the goal. In the mattress industry, we need to become part of the hero’s tool kit. An arrow in their quiver. When your product becomes a key part of a person’s journey toward becoming the hero, you’ll win big.